We are now entering the age of the “career changer.” With high levels of redundancies and certain sectors being in terminal decline—at a time when other sectors struggle to find talent—there represents a massive opportunity for job seekers to retrain and realign their skills to a new career in a high-demand industry. Increasingly, employers will find career changer resumes landing on their desks. But, career changers do come with risks, the main one’s being will they adapt and are they in it for the long term? It’s important that employers are able to distinguish genuine career changers from the more superficial ones who may crash out of the new career at the first or second hurdle. Below, I have set out five signs you are hiring a committed career changer as opposed to the less desirable alternative. 1. They are forthcoming and can justify why this career or industry is right for them. This means that they are able to clearly explain what skills, qualities and experiences that they have, which make them suited to this specific industry or job. They should be able to provide examples of where they have used these skills; how long they have used them for; how successful they were using these skills; and how satisfied they were doing this. Their cover letter, resume and interview should be squarely focused on knowing and exhibiting their transferable skills and linking them to specific relevant areas of your job and industry. A failure to do this shows an absence of forethought and planning and could indicate a lack of genuine interest, which may ultimately translate into a lack of commitment. 2. They can explain how they reached their decision to follow this career path. The most committed career changers will usually have made a calculated and informed reason to choose this career path and they should be able to explain their decision making process. Indicators of a good decision making process might be that they: conducted a Career Interest Test to check suitability, consulted a Career Coach, talked it through with a mentor, or consulted professionals within your business or industry etc…If applicants can’t explain their decision making process clearly, there is a good chance this is a whimsical, under informed decision and they are not a committed career changer. 3. They can explain why they abandoned their current career. You want to understand their level of resolution and how much they stick at things when they get tough. Did they just abandon their current career at the first sign of trouble or did they try to make it work? Was it a knee jerk response? 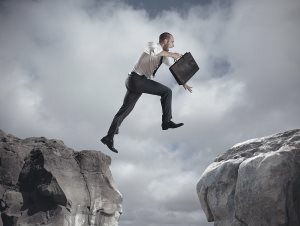 You don’t want someone who lacks resolve as changing career requires resolve and adaptability, which means they could fail to show the necessary resolution in their new career. The most committed career changers will have balanced, considered reasoning for their decision to change career. 4. They have ambition, medium/long-term goals and vision. If they are truly committed to their new career path they are likely to have some clearly defined, realistic and informed medium/long-term career goals in terms of position, grade and salary. They should already have started on self-directed learning and cross training to supplement their new career and will have identified future training needs and when they should occur. The most genuine career changer will be going into it with open eyes and have a very detailed and informed visualization of the future. It’s very hard to fake this. Passion is also a good indicator but only if you are sure that it is informed and not based on ignorance. 5. They have done the financial planning. Career changes more often than not lead to a reduction in salary in the early days as the career changer finds their feet. Over the longer term, their earnings may be higher, lower or the same. Either way, the most genuine career changers will have checked that their new career path is economically viable and sustainable. They will have realistic earnings projections and will be able to explain how they’ll handle any shortfall from their earnings they might have received if continuing on their current career trajectory. Genuine career changers have a lot to offer your business in these times of talent shortages. And by watching for these signs you have the best chance of distinguishing authentic career changers from the more whimsical, knee jerk, less informed and ultimately less employable alternative.